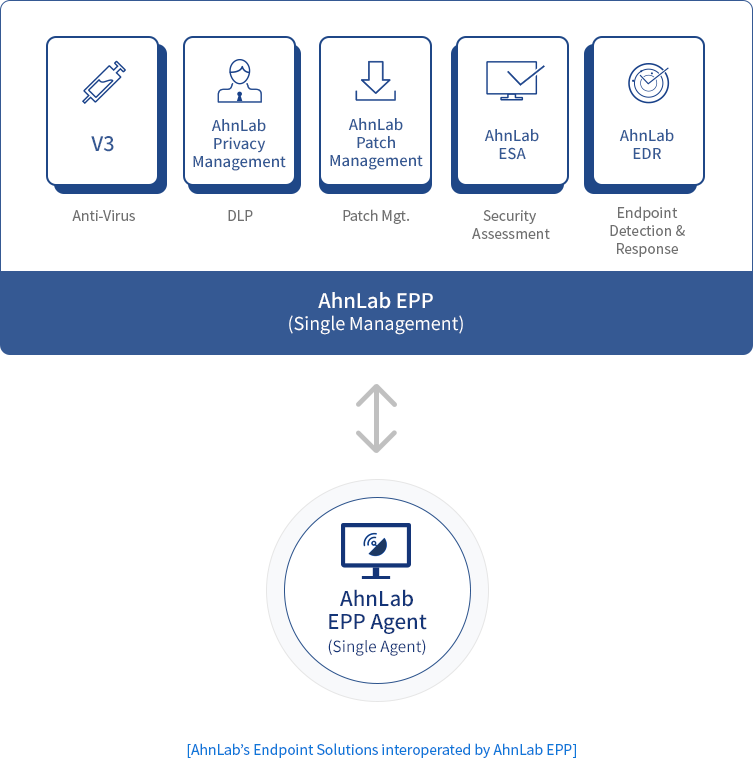 The next-generation endpoint protection, AhnLab EPP, integrates various endpoint security solutions based on a single agent and a single management console. AhnLab EPP is the endpoint protection platform for optimized interoperation and integrated management of diverse security functions. AhnLab EPP provides a stronger response against threats than point solutions-based responses by providing truly centralized endpoint security management and operation. 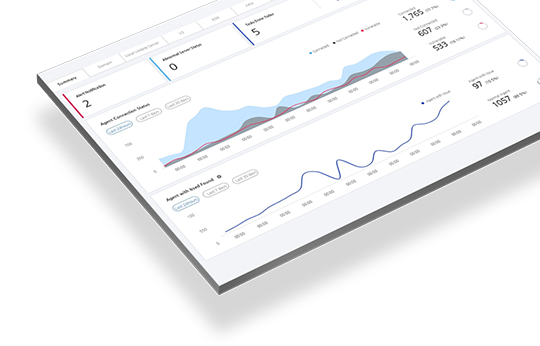 Sensitive data of organizations reside in endpoints and as a result, endpoints are continually exposed to security threats. Also, the increasing diversification of operating systems and devices require organizations to widen the object and scope of protection. In response to today's highly complex security threats, organizations are introducing multiple security solutions; however, limitations in operating and managing such multiple solutions often become a vulnerability in security. 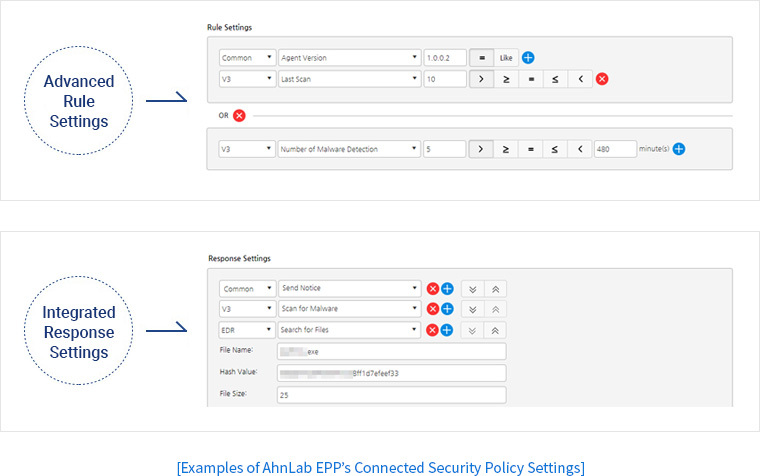 AhnLab EPP, the next-generation endpoint protection platform, provides diverse and convenient functions for efficient security operations and integrated threat response. AhnLab EPP helps create a powerful endpoint security system with a tightly integrated operation of various security solutions and threat response. AhnLab EPP consists of a web-based management console, AhnLab EPP Management, and an agent, AhnLab EPP Agent. It can be deployed flexibly to suit your organization’s environment. ※ Recommended server specifications vary according to your environment.